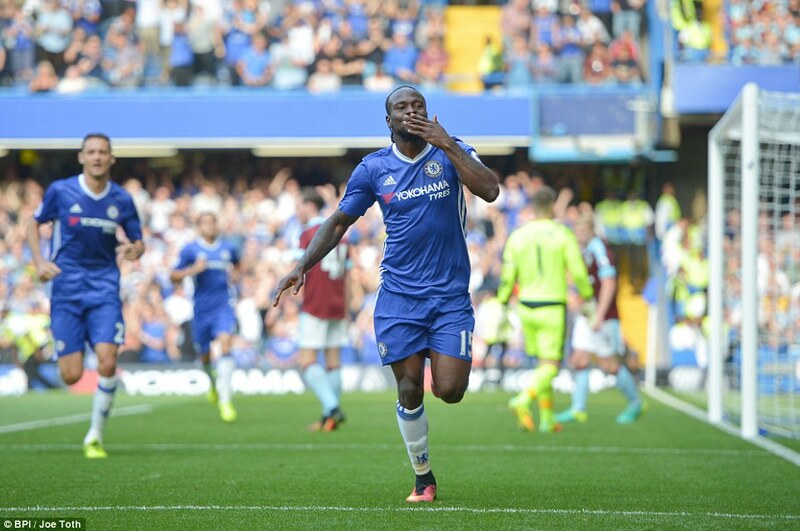 Victor Moses added Chelsea’s third goal after coming on as a substitute against Burnley. Nigerian players who were involve for their club side in Europe. abroad who were in action in Europe as regards to their performance. duration of the game for Chelsea. by Dan Gosling (former Everton player). over visiting side Swansea City. 45 minute of the game as Arsenal claimed a vital 3-1 away win at Watford. 0-1 away win over host Blackburn Rovers at Ewood Park. Cardiff City by assisting the only goal in the 89 minute of the game. of the game for Wolverampton Wanderers as they lost 1-0 to Huddersfield Town. the winner just 3 minutes after the intermission. from Pierre-Emerick Aubameyang condemned Mainz 05 to a 2-1 defeat by Dortmund. goal as Lille Losc drew 1-1 with host Nice FC. minute of the game as SC Heerenveen defeated PEC Zwolle 1-0.
of the game as his FC Twente side defeated visiting side Sparta Rotterdam 3-1.
defeated visiting side Waasland-Beveren 2-1.
booked in the 55th minute of the match. Troost-Ekong(No.5) shirt scoring to bring FK Haugesung back into the game against Brann. visiting Brann side. Ekong lasted the entire duration of the match. they drew 1-1 with Adanaspor. Ogenyi Onazi lasted 55 minute for new club. their side Amkar Perm lost 3-0 to host Zenit St. Petersburg.